I’ve always been a big fan of small automotive based fashion brands that take car culture and mix it in with pop culture. Check out Trendy Treadz. They have a number of fashion tees that does just this. 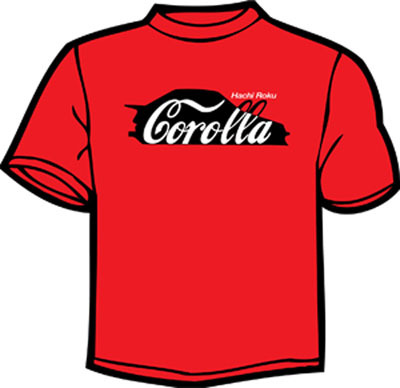 My favorite is this Hachi Roku “Corolla” shirt that borrows the look and feel from one of the worlds most favorite colas. See more at Trendy Treadz.